WINCHESTER(August 28, 2018) – It’s been known as Project 1107 for its address at 1107 W. Lexington Ave. Now, the 30-acre park under construction in Winchester has its official name: Legacy Grove. The public park is a gift from The Greater Clark Foundation to the community. The urban park will be a place to connect with neighbors and includes a two-acre play area, nature trails, walking paths, a dog park and open lawns. The park will be ADA-accessible with a paved walking path throughout and the play area will have options for children of all abilities. Currently, construction crews are building the walking paths, lawns, dog park and other features at Legacy Grove. The children’s play area will begin to take shape in the coming months. 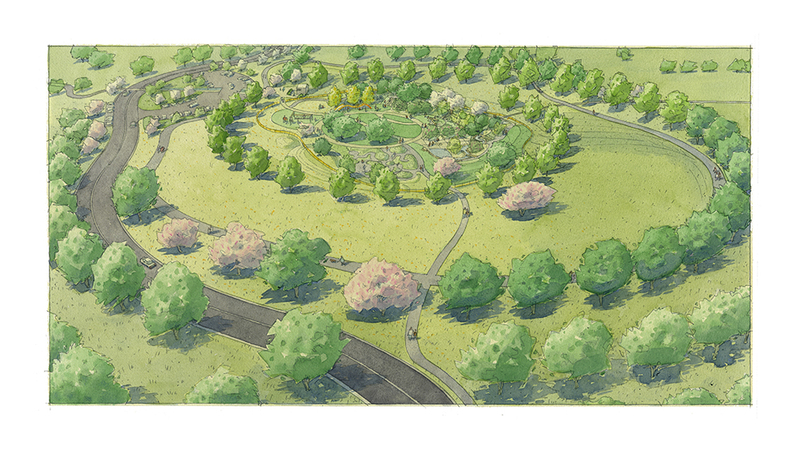 This fall, more than 200 new trees will be planted, many of them forming a circular ‘grove-like’ pattern in the front of the park. Although rain has delayed construction, Legacy Grove is expected to be completed later this year. Visit LegacyGrovePark.org or follow @LegacyGrovePark on Instagram for the latest updates.